I love October. It’s my favorite month of the year. But the year is going by waaay too fast and September whizzed by without so much as a glance back and left a mess in its wake. We are keeping busy with shuttling kids to taekwondo, soccer, cross-country, piano, and even weekly Dungeons & Dragons at the community center for the high-schooler. The finances and other goals though? Let’s see. Welp. September was a bit of a downer for our finances. Not only were our investments down, but Zillow knocked almost another $7000 off the value of our house. This all means our net worth was down for the month. The investments being down is partly due to our current allocation which I’m not ready to change. 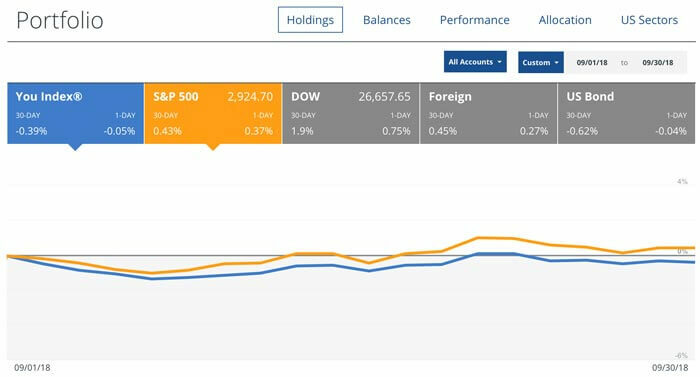 Even if we were invested 100% in the total stock market, returns were relatively flat there for the month. *Screenshots are from our free Personal Capital account. Our house though, that hurts. So far this year, Zillow has said our home value has gone down almost $44,000. Sigh. On the other hand, it is all on paper and we’ve seen estimates vary wildly and give numbers that are unrealistic. So, we take it with a grain of salt. Our neighborhood is quite varied in the housing stock available, so good comparisons are a bit more difficult. This month we also changed the investments we are using in the state 529 plan. I don’t include the kids’ 529 plans in our net worth calculations because we consider it their money, even if it is technically ours right now. Anyhow, previously I had 3 separate investments for each child in the state 529 plan because I wasn’t happy with the target fund in prior years and then inertia set in. But, in September the state changed the administrator and options that are available. With that change, I moved the investments in the accounts to a low-cost Vanguard target date fund. Now I can set-and-forget as it will follow a glide path we are comfortable with and the fees are relatively low. If you’ve been following the monthly(ish) updates, you know I’ve been trying to lose some weight. 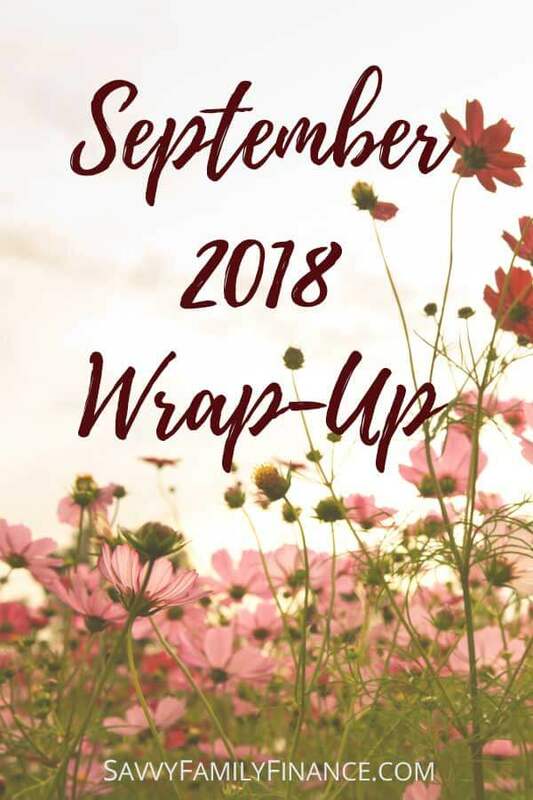 How was September? It sucked. I backslid. Between illness, injury and just not watching what I ate, I managed to gain a few pounds. Let’s hope October is better. Maybe my daughter can inspire/push me as she proudly ran her first 3k race last week and did well. She was especially happy because she injured her ankle during her first race a few weeks prior and most other racers are a lot taller (meaning longer legs and stride) than her. I swear, if this house gets completely decluttered, you will see a series around doing that because I will be So. Damned. Happy. Reading slowed down in September. In August I had managed to read six books, but only two in September. Those were Wilde Lake by Laura Lippman and So Close the Hand of Death by J.T. Ellison. No real reason for the slow down, it was just…slow. Our net worth went down, books read decreased, and the waist line increased. Hmmm…. October is my favorite month so let’s hope for a turnaround and good news!